E-commerce has extensively matured in the last decade and it continues to grow even at a better pace even today. It is a very widely used term and has seen a massive rise in its growth in the market. Simply speaking e-commerce means selling goods on the internet, electronically with the payment method being the same as well. For us, as buyers or consumers, convenience is everything. We select and pay for a good by just sitting back at home and, sometimes, even end up enjoying huge discounts because of the ability of the online sites to eliminate overhead expenses. An e-commerce website works through a series of steps to secure all the data that is being transferred. But before we take that route, let’s have a small detour and list down the basic steps that an e-commerce website follows. A shopper (like me or you!) lands on the website. You scroll through the various categories and items that are stored in the websites’ database. You can create an account and add all the items you are interested in, in your cart. All the information now is saved in the database, temporarily. When you finally checkout you will notice the website showing a lock symbol signifying that you are now in a secure zone. It is the work of the SSL certificate. Note: The website may or may not use 3rd party software to get shipping rates. Once you enter your credit card number the website passes the information to a payment gateway like PayPal. Once the order is completed the website will not have your payment information in their database. All this information is stored with the payment processor. Are They All The Same ? So that’s it ? Is this what an e-commerce website has to offer? There are broadly 3 types of e-commerce websites. This maybe defined as an electronic storefront for a catalog business or a showroom for manufacturers who wish to sell to the public directly. Example Walmart , Hewlett- Packard etc. This is more of a brochure than a catalog! This site generates sales by promoting corporate awareness rather than by facilitating online transactions. They market products and services that cannot be provided online Example Ford, Caterpillar etc. Also called as Online Marketplace, these sites are hosted platforms that bring buyers and sellers together to facilitate transactions. Example eBay , Amazon , Alibaba etc. With the internet growing rapidly, e-commerce has attracted attention of corporations and the audience alike. The corporations look for websites which would serve as an ideal platform to sell their goods and services and the buyers look for websites that can provide them a product at the best price. Hence, the increasing competition among the various websites to prove their metal. However there are a few who end up blazing through that competition and are recognised worldwide for being the best in the market and have made it to our list today. Walmart is the third largest online marketplace in the US and is reported to be growing its online sales faster than eBay and amazon. So what has Walmart done to bridge this gap that amazon and eBay haven’t ? Gone are the days when you had to wait 4-5 working days for your online orders to arrive. It’s in-store pickup time. Customers now have the convenience of picking up their order directly from the store, with the stores being situated within every 10 miles. They even offer a pickup discount ! Walmart wants to get the products in the hands of the customers as soon as possible. Hence it is testing new delivery methods. 1. Like Uber, Walmart asks its associates in stores to make deliveries in their off-hours or on their way home. 2. Another way is through Walmart’s pickup towers. They are like vending machines where the machine scans your receipt and provides you with your product immediately. 3. Retailers can also use services of UberRUSH and Delv to get the products in the hands of the customers quickly. Walmart has two great e-commerce sites – Walmart.com and jet.com, which it recently acquired. These e-commerce acquisitions enable Walmart to compete with amazon in important categories like shoes and apparel. Walmart seems to be learning from its competitors by sacrificing profit for the sake of growth. Walmart has increased investments in the digital sector by leveraging a significant physical store footprint to build out digital sales. The growth strategy that Walmart has successfully implemented is an example for other e-commerce retailers looking to compete in an already crowded marketplace. Amazon is an e-commerce website which lives up to its metaphorical meaning of “exotic and different.” Even the logo it symbolizes the fact that they provide all the products from A to Z.
Let’s gather up the points that make Amazon what it is ! The sign of a good design is a responsive website and with the people nowadays browsing through their mobile phones, it is essential for the website to be mobile-friendly. Amazon caters to this demand successfully. Another feature which works in the favour of amazon is it’s simple and uncluttered user interface. Information is readily available to the user and the addition of personalised recommendations is paramount to create a great user experience. Their portfolio carries nothing short of one stop shop for everything ranging from books, DVD’s to clothes , electronics etc. The ease with which a customer can navigate through the website and select a product for purchase is a feature that makes amazon stand out from its competitors. If a customer faces issues during checkout he may lose trust in your brand, which is why it is extremely important to have an easy checkout process. Amazon provides for the same with multiple payment options like through cards, net-banking, wallets and cash on delivery. It is because of all these features that Amazon ,today, stands at the helm of the e-commerce world with highest revenues. Alibaba is world’s second biggest e-commerce platform. Starting from selling goods that were produced by local people to international markets it has risen to a place where it has become a global leader in online marketing. While Amazon is focusing on expanding its e-commerce business in new markets, Alibaba is investing in companies around the world – ranging beyond e-commerce to also include virtual reality and social media. Alibaba caters to both Chinese and global consumers , though the majority of it’s transactions are generated domestically. It has a complex and vast ecosystem, which includes Taobao, Tmall and Alibaba.com. Taobao is a consumer-to-consumer website much like eBay. Tmall offers merchants official storefronts to consumers in China. 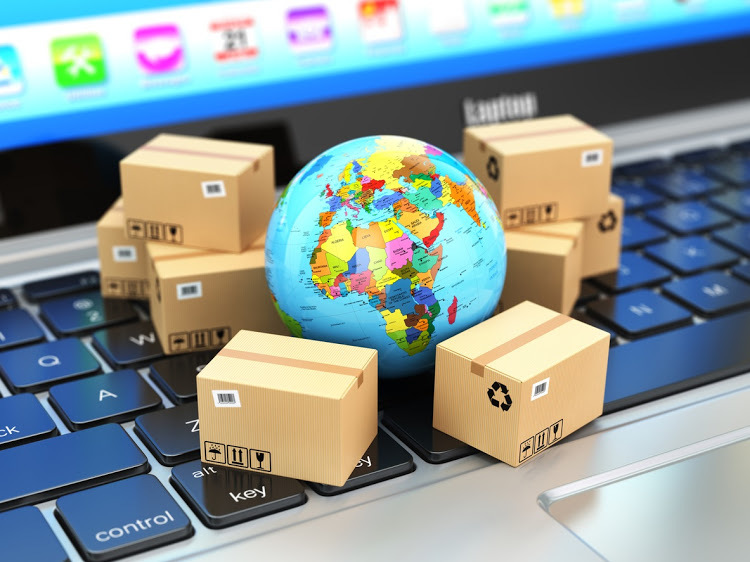 Alibaba and Ali Express connect businesses in China with buyers around the world. In addition to it’s direct e-commerce sites , it also runs a leading online payment platform Alipay which allows users to pay through it’s own platform and AntFinancial , which gives financing to businesses. If there is a transaction that involves any type of commerce, Alibaba wants to be the company that enables it. Among its consumers and merchants it is renowned as one big reason for flourishing business houses in China. 2 High value funding by venture capitalists and investors. There is a lot of potential in the field of online shopping in the coming future. Lately the impact has been so powerful that retailers of big brands like Louis Vuitton or ZARA have had to hop on the online market bandwagon in order to avoid disruption in business.